The Chevrolet Caprice and Caprice Classic are full-sized automobiles produced by General Motors in the United States and Canada from 1965 through 1996 model years and in Mexico from 1977 through 1983.Throughout its life, the Caprice was the most expensive and luxurious model in the Chevrolet full-size car range, which during its lifetime also included the Biscayne, Bel Air and Impala. The Caprice will return to North America as a full-size, rear wheel drive police vehicle in 2011.Cars like the Caprice are spacious, comfortable and as smooth as a milkshake. The basic Caprice Classic is propelled by a 200-hp 4.3-liter V8. Like horsepower, torque ratings reflect an engine's ability to do work. Unlike horsepower, torque peaks in the lower rpm ranges, and it's what you want when you're moving away from a stop sign or pulling a heavy load. 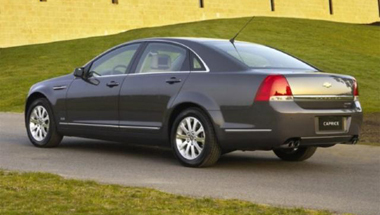 With the standard 4.3-liter V8, the basic Caprice provides adequate acceleration. The Caprice is one of the biggest passenger cars sold in America. And with body-on-frame construction - distinct from the more common one-piece unibody approach - it's also heavy. The Caprice rides on handsome 15-inch alloy wheels, supplementing the vehicle's exterior. The other hardware that makes the Caprice so much fun to drive is all in the suspension: special high-performance shock absorbers, a rear anti-roll bar, a slightly quicker steering ratio, heavy-duty springs, huge anti-lock (ABS) disc brakes on all four wheels and a limited-slip rear axle for better traction. The seats offer decent comfort, and there's a lot of room in which to move around. There's ample space for five full-size adults to travel in comfort without territorial disputes. The standard Caprice provides the option of 3-across front seating, but the transmission tunnel intrudes on the center position. Consistent with current Chevy design trends, the climate controls are wonderfully simple, with three well-marked rotary knobs mounted high in the center of the dash. Good marks, also, for the audio controls that feature oversize push buttons and a twist knob for volume control. 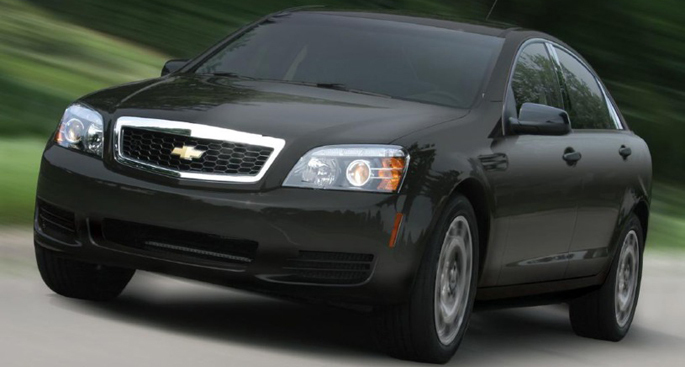 The additional Chevy Caprice Accessories include power mirrors, a premium AM/FM/ cassette sound system, reading lamps, and a 6-way power adjustable driver's seat, as well as leather and the performance hardware. It is also included a CD player and a preferred equipment package with heated mirrors, remote keyless entry, rear-window defogger, and GM's Twilite Sentinel, which automatically illuminates the headlights at dusk. In 2009, General Motors announced the Chevrolet Caprice Police Patrol Vehicle (PPV). Based on the sixth generation Chevrolet Caprice, it will be sold to law enforcement agencies in the U.S. and Canadian market starting in 2011. 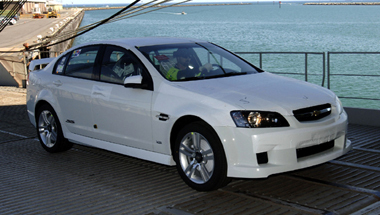 To be imported from Australia, the Chevrolet will be a captive import of the Holden Caprice. Holden will initially outfit the Caprice with the 6.0 L L76 AFM V8, although a 3.6 L LLT SIDI V6 engine will be available nine months later. Both engines will be E85 ethanol-capable. But Caprice Police Patrol Vehicle will achieve some additional features. The driver's seat will have a special indentation made to accommodate a police officer's equipment belt so it will be more comfortable to drive. Special tuning such as Performance Algorithm Liftfoot (PAL) calibration and a performance-tuned adjustable suspension will be added for increased performance meant specifically for police needs. The Caprice was twice honored with the Motor Trend Car of the Year award, in 1977 and 1991. The Caprice Classic was also on car and Driver magazine's Ten Best list for 1983.